In spite of all his success, at the 2014 Grammy Awards Kendrick was snubbed. 21. In spite of all his success, at the 2014 Grammy Awards Kendrick was snubbed. Despite receiving a total of seven nominations at the 56th Annual Grammy Awards in 2014, including Best New Artist, Album of the Year, and Best Rap Song, Kendrick comes away empty handed. 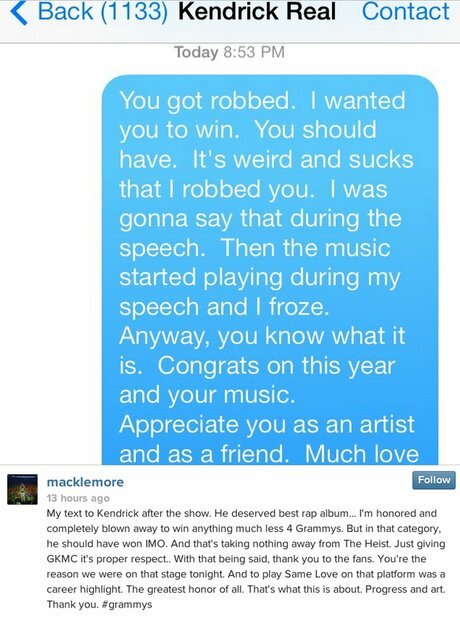 Even Macklemore, who won Best Rap Album, concedes that Kendrick was “robbed”.